Cooking for two? 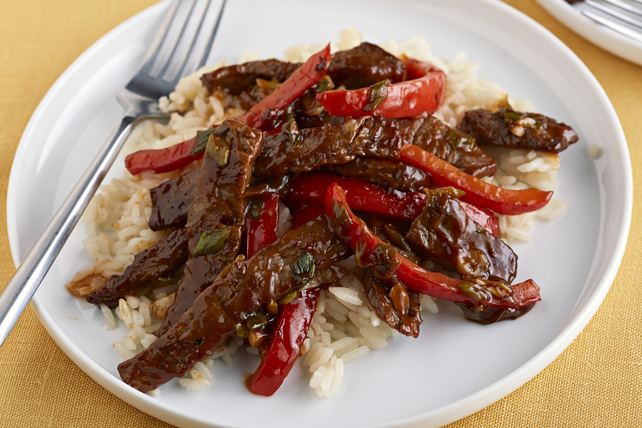 Try our Barbecue Beef and Rice - it's a quick and easy recipe that serves two in less than 30 minutes. Heat oil in large skillet on medium-high heat. Add meat and vegetables; cook and stir 5 to 6 min. or until meat is done. Add barbecue sauce; cook 5 min. or until heated through, stirring occasionally. Substitute boneless skinless chicken breasts for the steak.